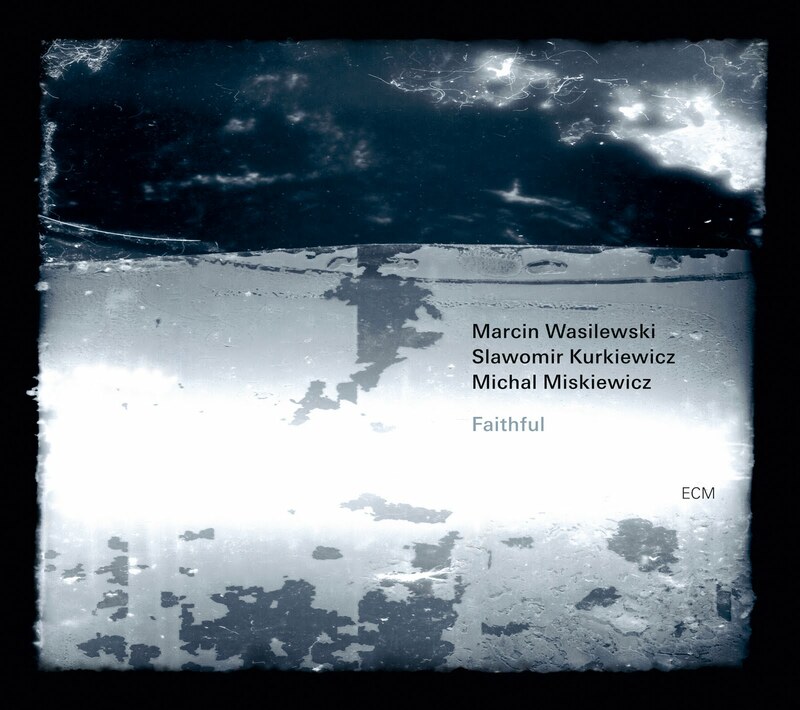 For its third ECM outing, the Marcin Wasilewski Trio expands the precious spaces delineated to such patient effect on TRIO and January. A pianist of uncommon insight, Wasilewski brings out the minimal best in bassist Slawomir Kurkiewicz and drummer Michal Miskiewicz, who in turn inspire reflections on those keys that might not otherwise reveal themselves in solitude. Together, they plant the seed of the album’s ever-expanding flower with a curious opener: “An den kleinen Radioapparat.” This song, by German composer Hanns Eisler (so vivaciously immortalized in Heiner Goebbels’s tribute), is meant to evoke the voices of radio, which haunt the now wordless protagonist in exile. After a 4.5-minute wait at this remote station of smooth and translucent contours, we are welcomed aboard the “Night Train To You.” The first of five Wasilewski tunes, its landscapes bleed watercolor beyond our window. We feel at home somehow, despite being so far from it. Yet with such attentive passengers sharing our car, how could it be otherwise? Their erudition is so fully ingrained into the surroundings that they are free to jump on and off these tracks at will, laying their own along the way. A riffling snare pulls us aside and whispers timetables into our ears, while Kurkiewicz supplies the dimly lit lanterns, the art deco screens, and lavish accoutrements of an Orient Express dining car. If we are the serviettes folded so neatly beside those empty plates, then the lush cut of the title track is the main course that awaits our dabbing. Shingled wave lines on the shore are the language of this Ornette Coleman classic, constantly redrawn to the rhythm of the tide. Which is very much like the flip-flopping of rubato and steady cells in “Mosaic,” also by Wasilewski. The rhythm section’s current polishes our ears to the smoothness of river-rolled stones, culminating in a sparkling waterfall finish. The long exhalation of “Ballad Of The Sad Young Man” follows. Its liberation of youthful fears and more mature reflections make for an utterly captivating experience. Then again, the tenderness of “Oz Guizos” (by Brazilian composer Hermeto Pascoal) makes the last feel like sandpaper in comparison, standing as one of the gentlest and most heart-stilling pieces in the ECM catalogue. Its heartbreak drips like rain from leaves after a quiet storm. The somber piano intro of “Song For Świrek” leads us into the album’s grooviest execution. 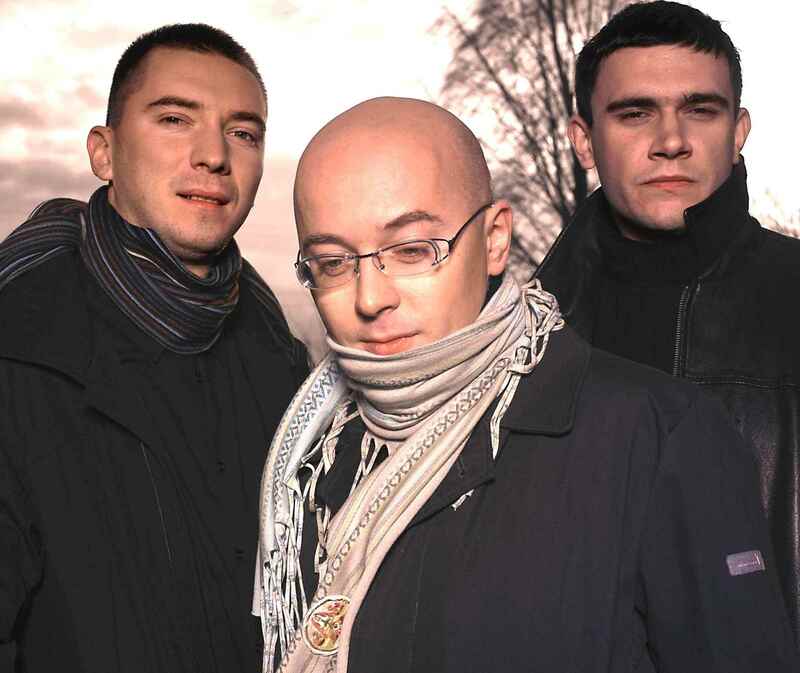 Written by Wasilewski in memory of Marek Świerkowski, a close friend of the trio, its Ferris wheel pace turns skyward with the breadth of a hang glider. Miskiewicz caresses his kit, appropriately enough, as if it were in need of healing. The pianist’s final offering is “Woke Up In The Desert,” indeed a haze, a dream, a sun pressed into the scrapbook of the sky. Paul Bley’s “Big Foot” finds itself duly revived since its first label appearance on Paul Bley with Gary Peacock. The lively sasquatch of a solo from Kurkiewicz mixes wonderfully with the cameraman’s excitement in the piano. A true delight that reveals also superb detail in the drumming. Wasilewski ends things with his “Lugano Lake,” a protracted gaze through the studio window from one who would rather leave the condensation intact and examine every bead of upturned scenery as it drips into the proportion of something true. Faithful represents a new direction. It favors protracted treatments and heightened sensitivity. The trio plays as it breathes, knowing just when to pause before moving on. Particularly well recorded, with just the right balance of intimacy and the infinity beyond it, it lives in soft focus. If you wish to know to whom they are being faithful, you need only turn the CD over and look at your reflection. I am delighted to see your review of this marvelous music. Even though you’ve yet to dip your aural toes into the Stanko classic trio of Soul of Things, Suspended Night and Lontano, in which he employs this backing ensemble, you now have an idea of what you are in for. I am actually still absorbing the music on Faithful – it has that much depth. I don’t think it will quite unseat January, however, as the pinnacle of music that’s emerged to date from this gifted trio.